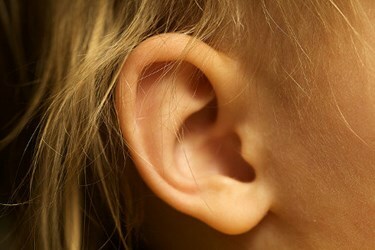 Could Brainstem Implants Restore Hearing To Deaf Children? A team led by researchers at the University of Southern California’s (USC’s) Keck School of Medicine recently reported positive results from an ongoing clinical trial that could help children with severe hearing impairment. The study is evaluating the use of a new auditory brainstem implant (ABI) technology in children born without auditory nerves. The study, supported by the NIH, is slated to last three years and has already begun to enroll patients. Use of hearing aids or cochlear implants is often a successful approach to restoring hearing. However, these treatment options are ineffective for patients born without an auditory nerve or those who have lost the nerve as a result of disease. In these situations, an ABI — which bypasses the auditory nerve and stimulates the brainstem directly — could restore some sense of hearing, according to a recent press release from the Keck School of Medicine. While similar devices have been used internationally for about the last decade, regulatory approval in the United States has lagged behind. The multi-institutional team led by USC initiated a clinical trial in March 2014 to the safety and efficacy testing of an ABI for regulatory approval. The study has enrolled five patients (out of an expected 10), four of whom have already received their implants. The team believes that introduction of the ABI at an earlier age improves its chances for success, according to the press release. The brain is still flexible and formative at this stage, which allows the patients to adapt and learn in a way that a more mature brain may not. The ABI design is similar to cochlear implants in many ways, but it interfaces with the nervous system in a different location, according to an article from the ASHA Leader, a publication from the American Speech-Language-Hearing Association. The implant interfaces at the first relay station in the brain stem, called the cochlear nucleus (CN), through an electrode array that contains many contacts. Mapping how each electrode stimulates the CN enables the researchers to identify which ones produce the sensation of sound. Others electrodes may produce tactile sensations and are thus turned off. Once implanted and mapped, many ABI recipients can detect and identify sounds based on their volume and timing. Image credit: "Ear" by Travis Isaacs. Licensed under CC BY 2.0 via Flickr.